L ike the US and Canada, Mexico is not limited to one Area Code. Mexico has several and calling Mexico from Canada or the States is simple... once you know all the codes. Mexican land-line phone numbers basically look like their US and Canadian counterparts, starting with the area code. Mexico recently standardized numbers throughout the country to a seven-digit format. San Miguel phone numbers used to have just 5 digits, but now all Mexican phone numbers have 7 digits. All area codes in Mexico have 3 digits. Dialing Mexico is not difficult. The international code from the US and Canada is 011. The country code for Mexico is 52. So put them together and what do you get? Phoning any land-based phone line in San Miguel from the U.S. is a simple matter. First dial the international code (011), then the country code (52 for Mexico), then the area code (415 for San Miguel de Allende) then the 7-digit local number. So calling a land line in San Miguel from the States or Canada, you dial, 011-52-415-7digit#. Calling Mexican cell phones is just a bit trickier. The Mexican number will likely begin with 044. If calling a cell from inside Mexico, you need to dial the 044. But when calling a Mexican cell phone from abroad, you don't dial the 044. However, you do need to add a "1" after the country code. So, to call a Mexican cell phone from the U.S. and Canada, you dial 011-52-1-415 plus the 7-digit number. Clear? Many ex-pats and businesses in Mexico also now have a U.S. phone number thanks to VoIP services like Vonage, Skype and MagicJack. If a person or business in San Miguel lists a US phone number, simply dial it as you would if they were actually in the States. To call long distance from Mexico, to the U.S and Canada, you dial 001, then the area code and number. 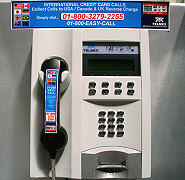 Many cell phones now have international calling capabilities. Check with your carrier to see if they have a plan that will allow you to use your cell phone in Mexico. If not, there are several ways to to call the U.S. from Mexico. 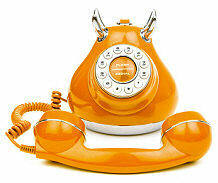 If you are in a rented house or apartment, you can use the phone there. But be aware that this is one of the most expensive ways to call home. Even more expensive is calling from a hotel room. Ask first at the front desk if there are service charges or other fees. Insiders Tip: Several places in San Miguel offer free internet-based long distance calls. One is Manolo's Sports Bar inside Casa Payo Restaurant on Zacateros. Young Mexicans are just as much in love with their cell phones as young Americans (Canadians? Europeans?) Sometimes it seems like every Mexican under 30 you see on the street (and many older ones, too) has a cell phone plastered to the ear. If you want a local phone number to hand out to people you meet in town, you can buy an economical cell phone from one of several companies in San Miguel and then add pre-paid minutes as necessary. No contracts, which is the way most Mexicans use cell phones. You now have a San Miguel phone number. I recently bought one from TelCel at their main office near the Mega SuperStore. I got the cheapest phone they had, a nice little Nokia, for $349 pesos (about US$25) including 25 minutes of local calling. In some cases, you can bring a cell phone with you and have USACell or one of the other companies change out the SIM card for a local one. Check with your phone manufacturer to see if this is possible with your model of phone. NOTE: Remember that the prompts will be in Spanish. You might need help from a Spanish speaker the first time you use it. Even easier is to use a Ladatel pay phone. You must buy a Ladatel card (available in drug stores and convenience stores). Pick up the receiver. Slide the card into the slot. Wait for the small window at the top of the phone to show the balance on your card and then show "Marcar" (dial). Dial the international code, area code and number. The small display window will show how much money you have left on the card, and it will "count down" as you use it. Don't be intimidated. It's really pretty clear and self explanatory. Insiders Tip: Cards come in several denominations. If you buy the 100 peso card, you get an extra 25 pesos of time free. Calls to the U.S cost 5-10 pesos per minute, depending on number called and time of day. Call home often and tell them all about San Miguel de Allende.